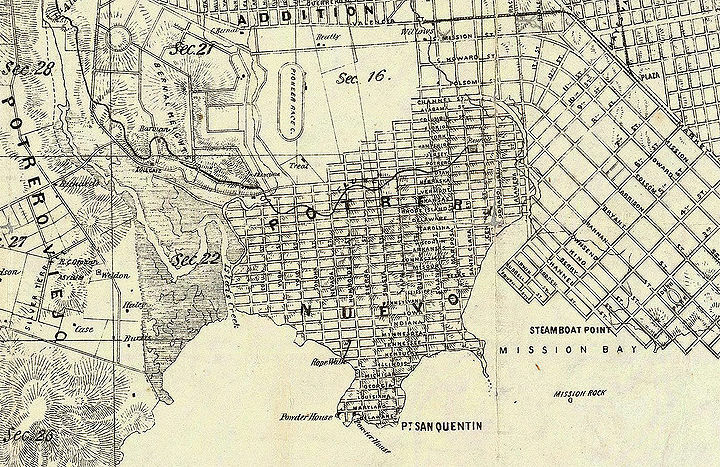 1859 USGS Coastal Survey Map showing Potrero Hill, Mission Bay (and Mission Rock out in the water), and the eastern part of the Mission District when there were two horse racing tracks occupying what is today all residential. 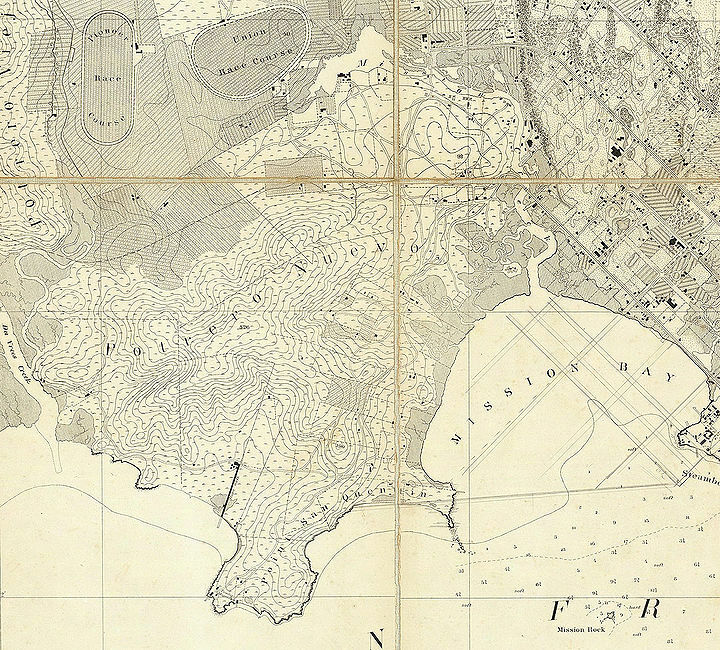 Note the "rope walk" at shore middle left. 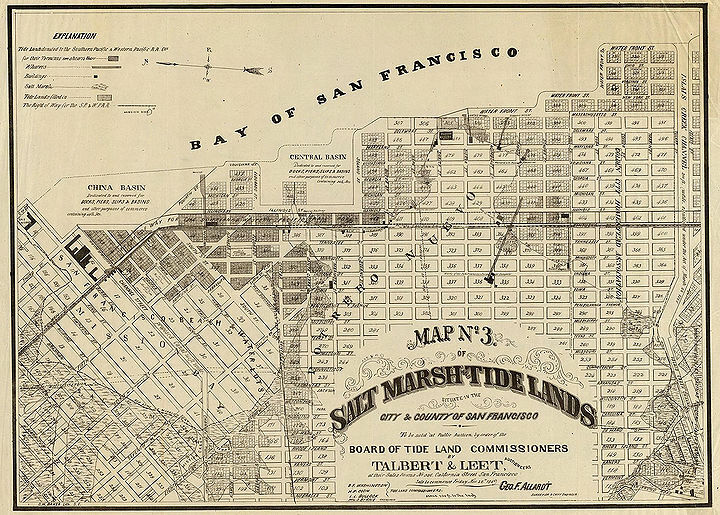 1869 Salt Marsh Tidelands auction map, showing disposition of various parcels before the imminent sale of still submerged tidelands. 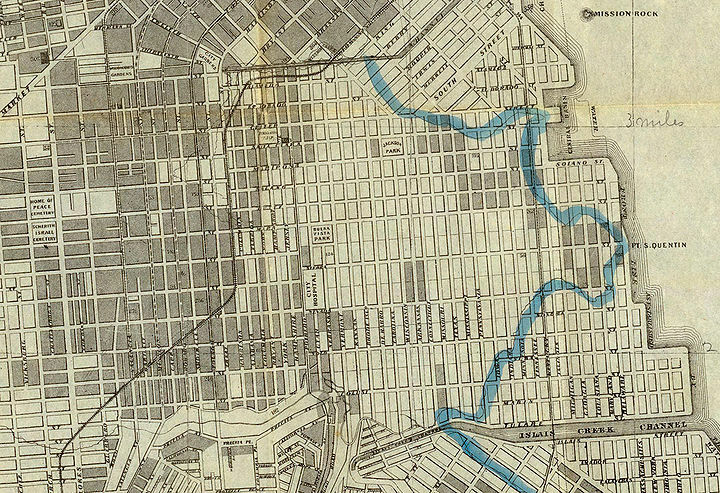 The Tubbs Cordage Rope Walk is the larger diagonal crossing Third Street at center right.